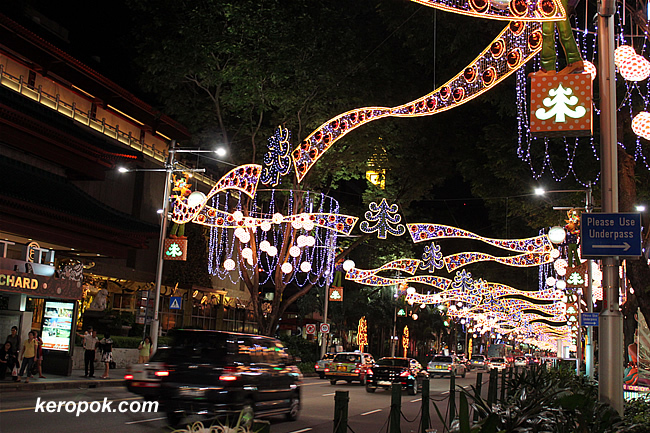 'Boring' Singapore City Photo: Orchard Road Lights : Turned On! Wow, the Christmas Lights at Orchard Road has been turned on earlier than usual! With the APEC meeting held here, I guess the lights would get maximum coverage by the foreign media coming for the meeting! I only found out it was lighting up today and since I was around the area, I took a few shots of it too. The colour of the lights in different section are different. This blocks from Tangs onwards are 'golden' in colour. Very colourful and so many lights! Pretty! Hi, your photos are fantastic, I really like finding out about your observations on this country. You do so much to help poeple understand and appreciate Singapore ! Aha! Another early sign of Christmas; I should start collecting the links!